Hi! 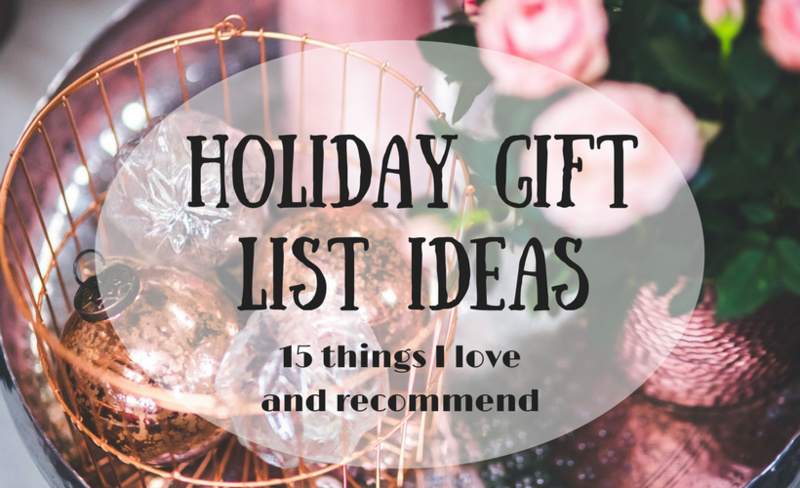 Welcome to my holiday gift idea lists! This is such a hectic time of the year, and even the most creative among of us can draw a total blank when it comes to buying gifts. I wrote this list as a real person, and I'm sharing real stuff that I like. And yes, some of these things are "dull and practical", but as a busy mom of three, juggling all tons of tasks at once, I can say that sometimes helpful gifts are the best gifts! I am by no means a trendsetter. Or a trend follower either, unless I just really love something. This is a random collection of things that I use (or have used) that I really love, and many of them were given to me as gifts. Hopefully, it can help inspire you if you are stuck for an idea! I could not live (or at least work) without my little desk heater! I bought these because they look like my art pens. And guess what? They work! I can actually get both eyes to match up (mostly) just because it feels like drawing with a pen. Which is good, because Sharpies are not eye-friendly, really. Everyone has different body chemistry, I know, but I can wear this eyeliner all day without having to touch up. I just set it with a little black eyeshadow and go. And because I don't waste any of it, one pen lasts me for months! Sometimes (a lot) I don't have time to sit down and create a huge drawing. But I still try to draw something every day. I hate to "waste" a big sketchbook by doodling in a corner. These little sketchbooks are just the right size! They are very portable, fit in my purse, and won't get bent or crumpled. They can also be used as art journals with or without a bullet journal format if you like doodling while you plan. I love my Sharpies, but these are a great addition to my art supply collection. They have vivid colors, and they are "inkier" than Sharpies. While that means they don't do well for tight, precise coloring, they are are excellent for coloring my cartoons, doodles, and free hand designs. Play with the bleed a bit and you can get some neat watercolor effects. If you know someone who raises backyard hens, this would be a sweet gift idea. You could put candy eggs inside and it would make it's own little gift box. These are really quite versatile to have around. I keep one on my desk, because it's such a pretty way to save spare change. I use them for candy jars during the holidays, or even set up a little seasonal scene inside of one. All-in-all, they would make a nice gift for just about anyone. S&P shakers are a pretty classic gift. These are an upgrade on the usual shakers though, because you can adjust the top to "fit" coarser salt and pepper. They are tidy, super strong, and would make a great stocking stuffer. Next to the hot glue gun, the woodburning pen is probably the coolest, handiest "craft" tool in the world. Obviously not a gift for young children, (or anyone who is terribly accident prone...) but a fun, creative gift for everyone else! Once you practice for a bit, it is just like drawing. So you can draw with fire...how cool is that?